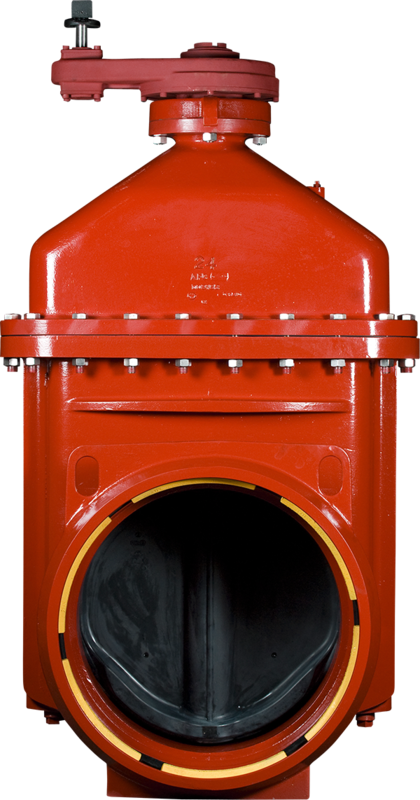 AMERICAN’s 16"-60" Series 2500 ductile iron resilient wedge gate valves are suitable for use in potable water, sewage and fire protection systems. These valves have a rated working pressure of 250 psig with zero leakage and are for use on ductile iron and spiral welded steel pipe. The waterway is clear and unobstructed. The Series 2500 gate valve is Certified in all sizes as complying with NSFNSF/ANSI 61 and NSF/ANSI 372, which exhibit compliance with the U.S. Safe Drinking Water Act.